This strange, sad, oddly compelling photo comes from Forgotten Providence a new-ish (?) 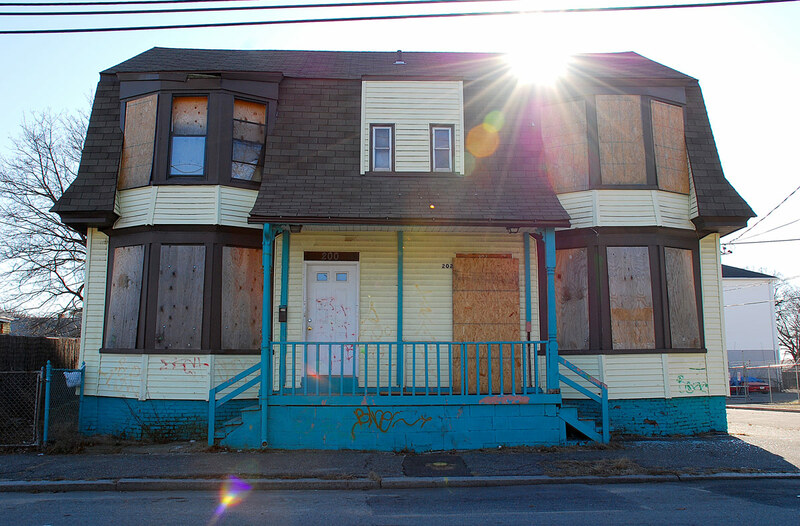 blog documenting foreclosed properties in the city. I really don’t have anything else to say, the photos rather speak for themselves, don’t they? The Forgotten Providence website is over here. They are collecting information on vacant properties such as the info you are looking for, but I didn’t see 79 Oak on their site yet. They have a lot of useful information on their solutions. You probably should try contacting the city’s planning department or see if you can find any information on your property at ProvPlan. Rhode Island Housing might also be able to help chase down some information on that property.